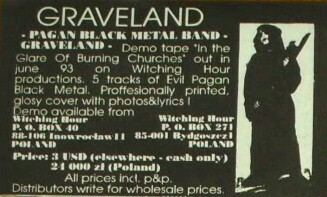 Graveland is a pagan metal and black metal band from Wroclaw, Poland which was formed in 1992 by Rob Darken (Robert Fudali). 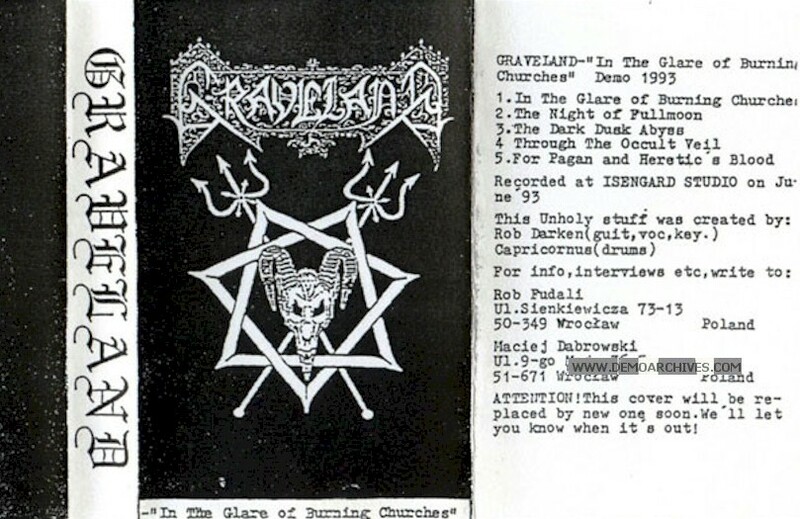 Darken, who started Graveland as a solo project, was inspired by early black metal such as Bathory and Burzum's early works; but starting with "Thousand Swords", the band took on a powerful folk influence. As a result, later Graveland has sometimes been described as Viking metal or Pagan metal. 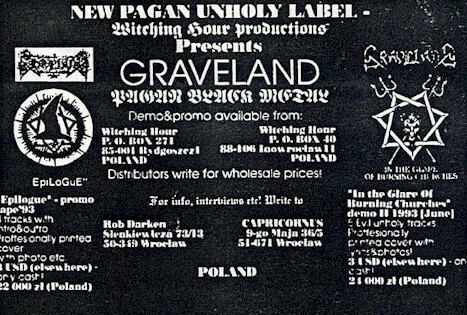 Early Graveland lyrics were thematically connected to Celtic pagan beliefs and were heavily anti-Christian, though with Graveland's development into an epic style, the lyrics have also thematically developed over time to glorify Aryanism; then more recently, to glorifying Wotanism. Xeroxed covers and regular tapes. Need more info. 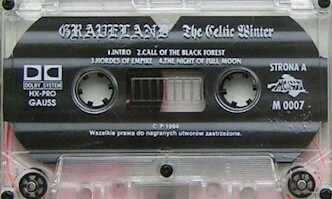 Pro printed covers and regular tapes. Lyrics on back. Released by Witching Hour Productions. Pro printed covers with lyrics on back. Pro printed tapes.